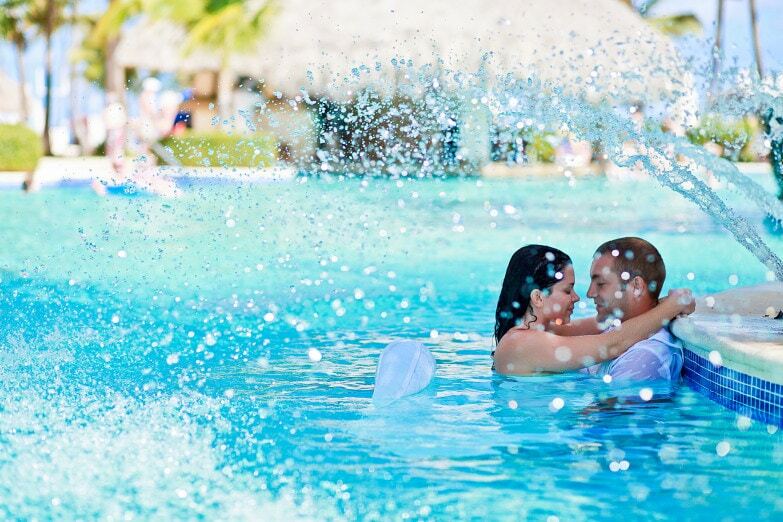 Why Should I Do a Trash the Dress in Punta Cana? Trash the Dress is one of the hottest and newest trends in wedding photography. Anyone who wanted to do something unique with her wedding dress should consider this photo session as this is not only memorable but also enjoyable. But, why should you do a Trash the Dress session with your photographer? What Is Actually a TTD or Trash the Dress? TTD means capturing stunning images while you are trashing your wedding dress. You don’t have to tear it or paint it… if you want to go easier on it simply get it into the ocean for some unforgettable moments and photographs. The best thing about a Trash the Dress is that you do not have to worry about being in front of tons of wedding guests. It’s an extra to your wedding photos aside from your wedding day or engagement photo shoot. With this kind of photo session, you can create a masterpiece that you can hang up on your wall. Whether you have decided to jump into the pool or splash dirt on your wedding dress, there are endless theme ideas for your dress once you considered a Trash the Dress photoshoot. Several wedding photo sessions are quite hectic when huge wedding party is part of it. Sometimes, some are missing and others are not ready for the perfect shot. When compared to a Trash the Dress, it’s more about intimacy where the groom and bride can do whatever they want. In fact, in some instances, brides can even decide to ditch their groom and do their own photo session alone. With a Trash the Dress, you don’t have to worry about the bad weather, as this will make the photo much better. If it is raining, you can go barefoot and grab a cute umbrella that will make your shot much prettier. Bad weather isn’t really an issue with Trash the Dress because in most cases, this could be an advantage to capture an amazing photo of the bride and groom. The good thing about Trash the Dress is that you will be more relaxed while posing, as it is not a typical wedding day photo session. As a matter of fact, there is no need for to rush or worry, as there is no time limit. There are other reasons why you should do a TTD. Whether you wanted to make the most of your wedding dress or you want to be creative with your wedding, trashing your dress will give you the best experience and exceptional images that will complete your wedding photos. If you’re wondering about the best time to do this photo session, it is wise to do it a couple days after your wedding day, or even the day after.